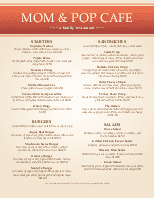 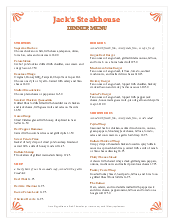 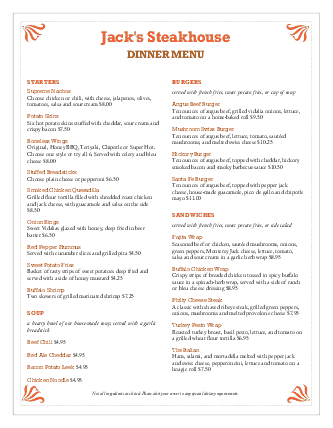 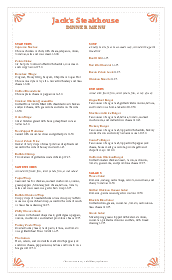 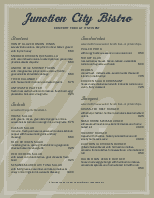 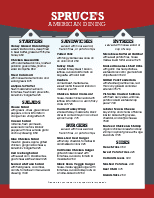 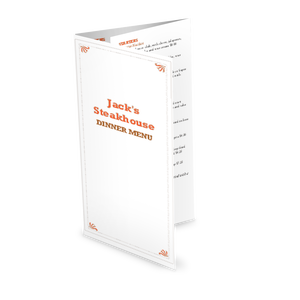 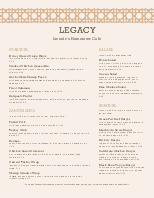 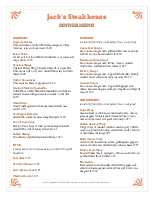 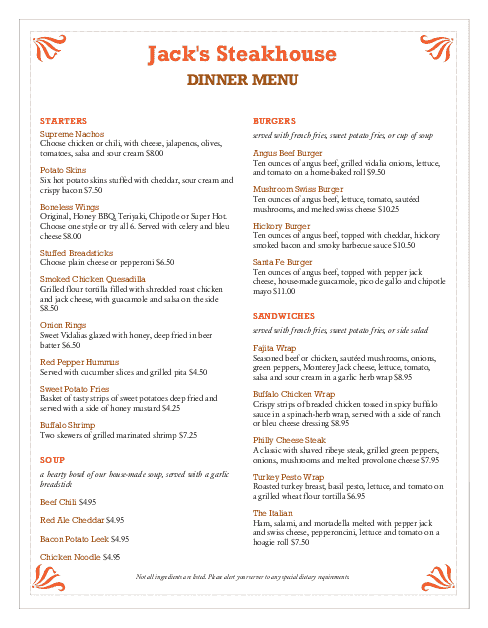 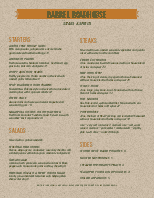 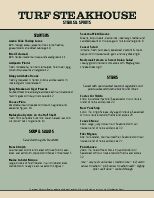 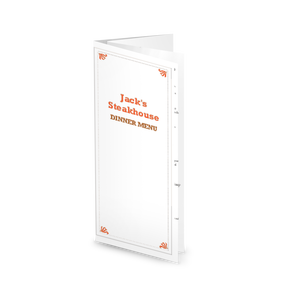 This steak and seafood menu has a Western look, accented with small orange flourish designs in each corner. 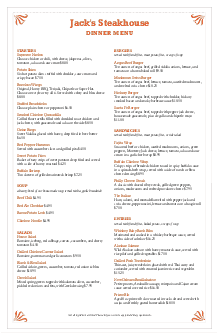 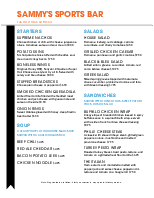 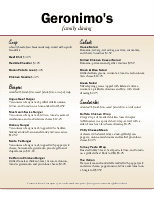 Two columns list steakhouse food options, like appetizers, soups and salads, dessert, entrees and accompaniments. 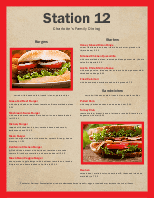 Update this 8.5 x 11 menus online using the Menu Editor.